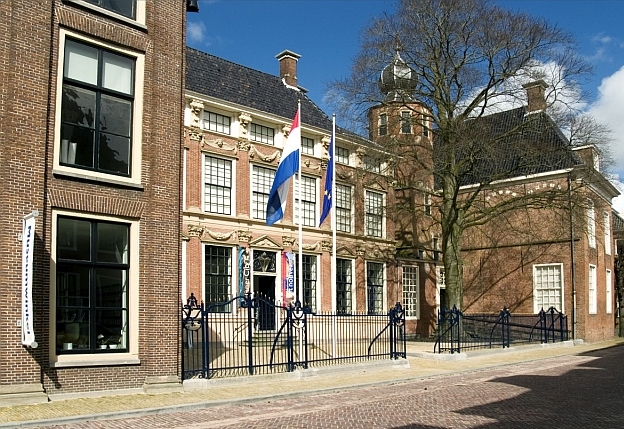 The Royal Asian Art Society in the Netherlands (KVVAK) was founded in 1918. The Society’s main goal is to disclose high-quality Asian art to a wider audience, to create interest in it and to stimulate academic research in this field. The KVVAK collection is internationally regarded as a world-class collection and is exhibited in the Rijksmuseum Amsterdam. The Jan Menze van Diepen Foundation financially contributes to the KVVAK in the costs of the Chair in Asian Art at Leiden University. Cup vases and the interaction between East and West. The Jan Menze van Diepen Foundation recently acquired four beautiful objects in London in the field of Eastern ceramics and Western ceramics. First of all, two Chinese Wucai cup vases from approximately 1628 -1643 and more than 39 cm high. 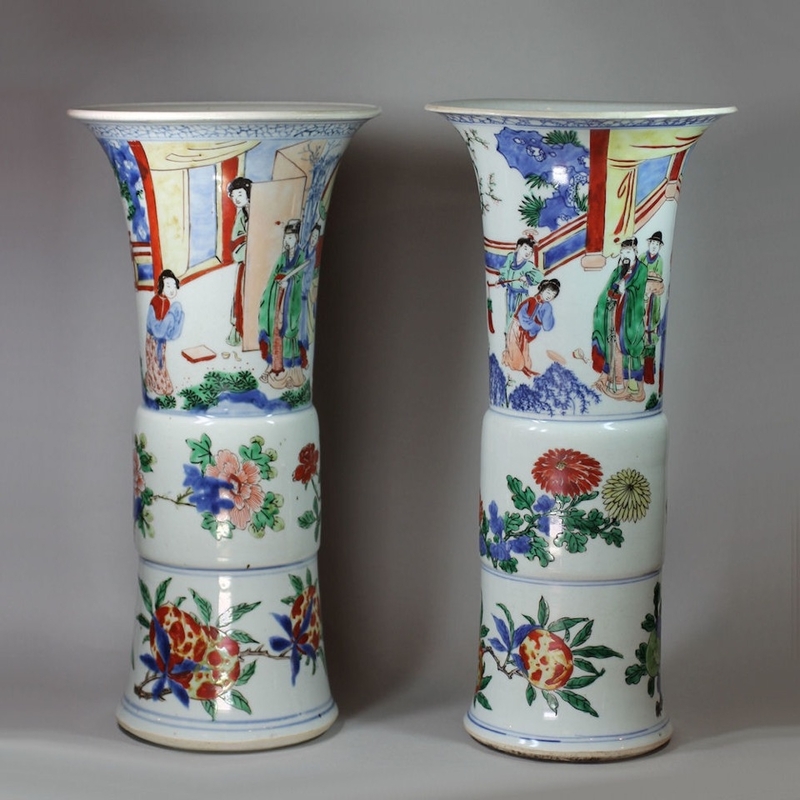 In addition, two Dutch Delft blue high vases from approximately 1700 and 35 cm high. The narrow tall vases all four have the same structure with a thickened band in the middle of the vase. The decorations are also surprisingly uniform. One of the most famous etchers in the Netherlands, Reinder Homan, exhibits in the Koetshuis at the Fraeylemaborg. Ten works come from the collection of Jan Menze van Diepen. Reinder Homan (Smilde, 1950) was captivated by this versatile and complicated technique during his studies at the Groningen Academy Minerva. Professor Shelly Xue investigates the Chinese glass collection. In connection with the preparations for the exhibition “Porcelain with character” (from 25 March 2017 to 22 October 2017) in the Municipality Museum in The Hague, curator Suzanne Lambooy was visiting Slochteren. 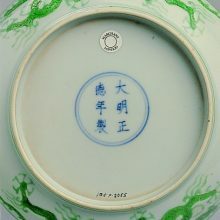 During the planned preparations and discussions on Chinese porcelain, our Chinese glass collection, which she did not know existed, was mentioned in passing. To her surprise, this collection was so large in size (approx. 250 objects), that she felt that more people needed to know about this. Over 9,000 objects are in the extensive Van Diepen collection. 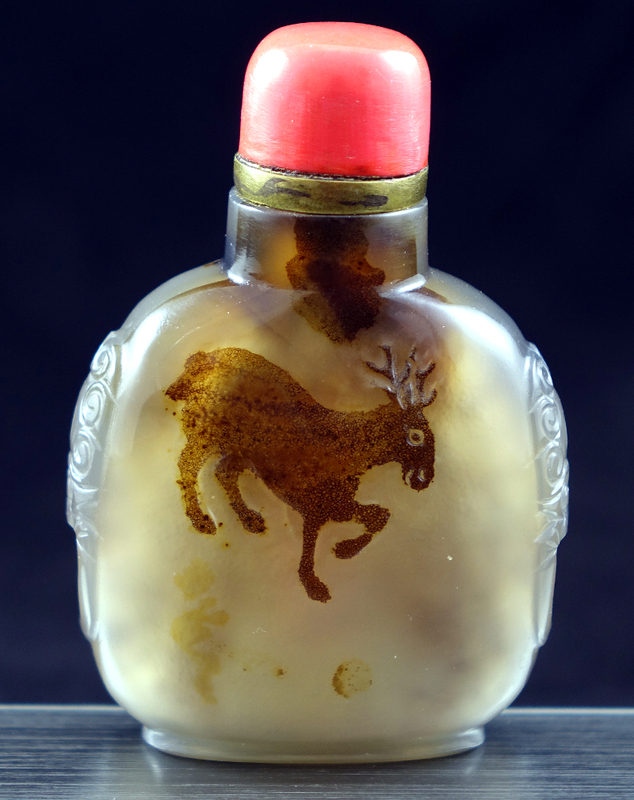 In that, the proportion of the so-called snuff bottles is relatively limited, but there are about 160. But it is important to know what the background of these colorful bottles coming from China is. In the 17th century, tobacco sniffing came into fashion with rich Chinese, introduced from Europe. Smoking tobacco was then forbidden, but finely ground tobacco was allowed. It was applied as a medication, it would help with colds, headaches, stomach problems and many other diseases. The use first focused around the Beijing Imperial Court, but gradually spread over the elite of China. The beginning of the Quing Dynasty in 1644 was the start of a very productive period for the studios in which the snuff bottles were made. Elegant brushstrokes with an instant appeal to the imagination: Chinese characters have something truly magical about them. Not only because of their intrinsic beauty –to Western eyes at least – but also because of their wonderful symbolism and the often extraordinary stories they can tell. From 25 March, the Gemeentemuseum of The Hague shows a special selection of Chinese objects out of the Van Diepen collection among chinese porcelain from other collections. Entirely renewed permanent Chinese exhibition. 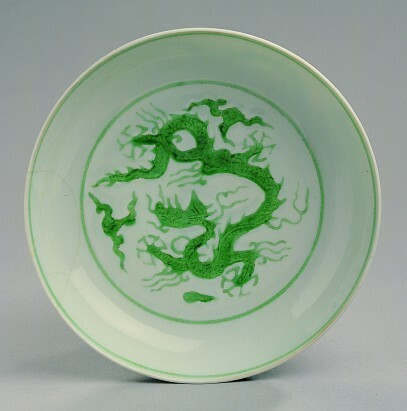 The Van Diepen collection contains among others a large collection Eastern ceramics. According to Prof. Dr. Christiaan Jörg it is even the largest private collection in this field in The Netherlands. 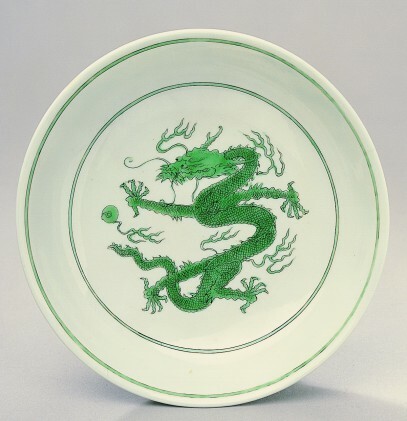 A large part of these Eastern ceramics come from China. The most important museum of ceramics in the Netherlands, the Princessehof in Leeuwarden, has entirely renewed his permanent Chinese exhibition lately. They have the largest museum collection in this field. After a renovation of about two years, they have drawn a fascinating chronological line through the age-long history of China. 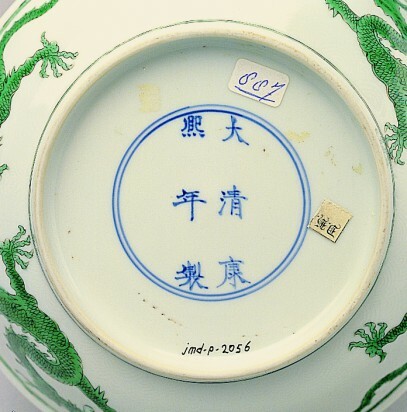 In this arrangement “Topstukken Chinese Keramiek” the museum also included 13 pieces from the collection Van Diepen. 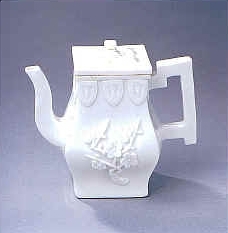 An example is the 16th century pouring-jug in the form of a dancing woman. Of this very rare type comparable specimens are only present in Londen and Tokyo. Very special are also two plates ornamented with peach- and pomegranate branches in email-colours. These plates (looking peculiar modern) were made in the early 18th century for the Imperial court and are from extraordinary quality. Also such a special form has the cream-white quadrangle teapot (blanc de chine) from about 1700. 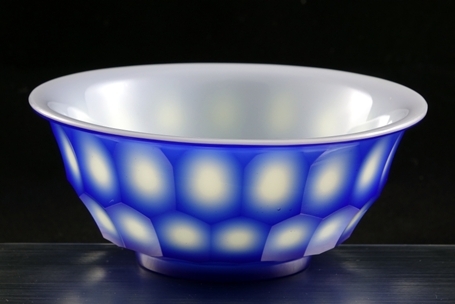 “that square form is difficult to make and the result is very clever done” says profs. Jörg about this piece. 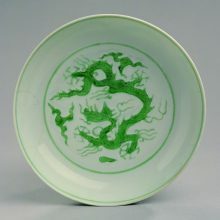 The Chinese master pieces in the Princessehof stay there for a longer period. Have a look and search the 13 Van Diepen-pieces! 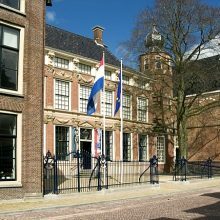 In the night from Saturday to Sunday, June 2, 2013 there has been a burglary occurred in museum Fraeylemaborg in Slochteren in the province Groningen. Two very special Chinese porcelain dragon plates, dated around 1465 and around 1700, as well as many special Dutch silver objects were stolen. The burglars have forced the door with great force. The burglary resistant laminated glass of the china cabinet was partially broken with heavy tools. The two specific objects, of the dozens of beautiful porcelain pieces, are gone. The Police and Museum Fraeylemaborg decided as much information about the objects to be spread so that everyone can watch on whether he or she signals the valuables. Do you have information about this burglary, or you found suspicious circumstances please contact the Northern Netherlands police by calling +31 900 8844.